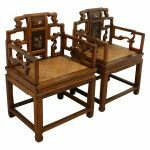 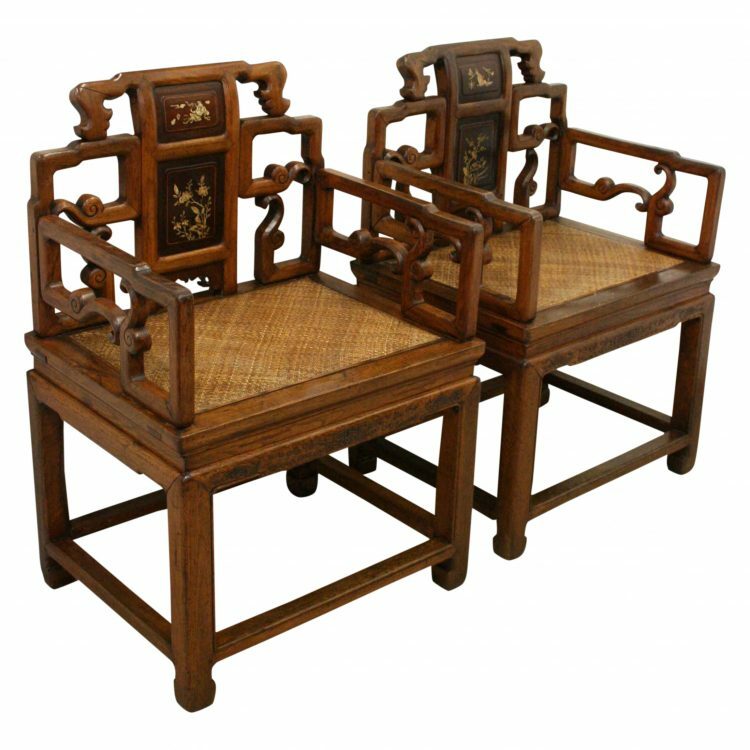 Circa 1880, very stylish pair of Chinese stained elm armchairs. 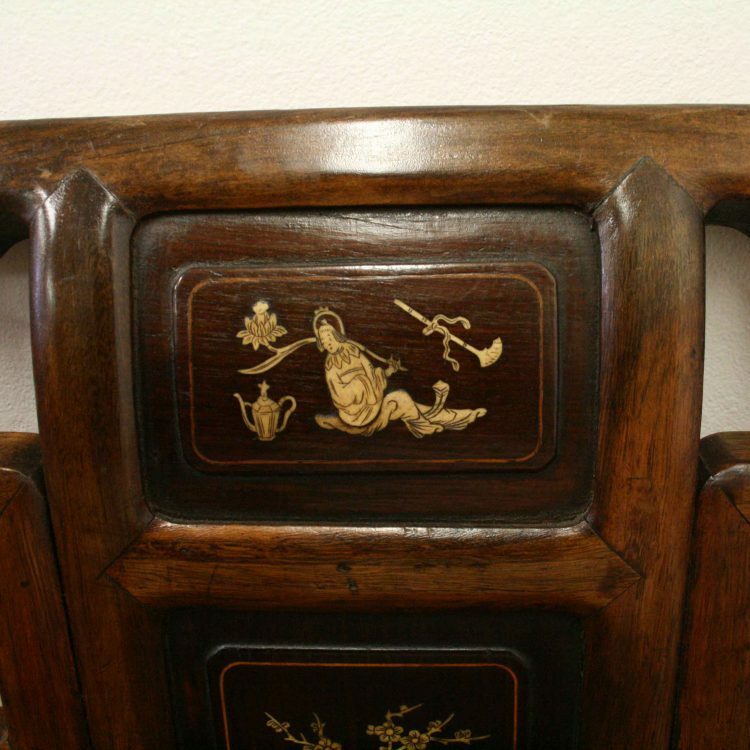 The back with its 2 curved and inlaid bone or ivory panels depicting a character and flowers. 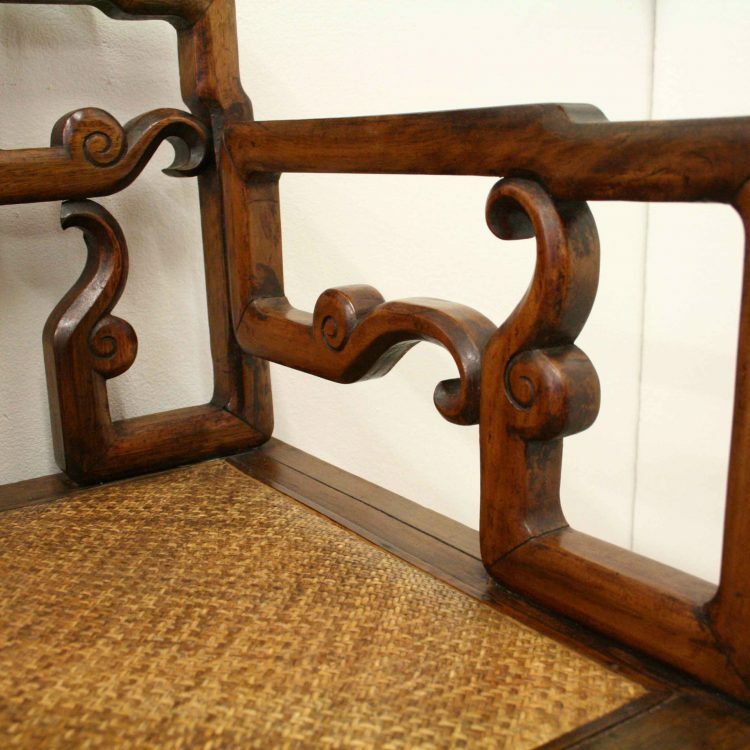 Beneath the second panel there is a small quarter bracket with very stylish fretwork. 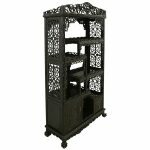 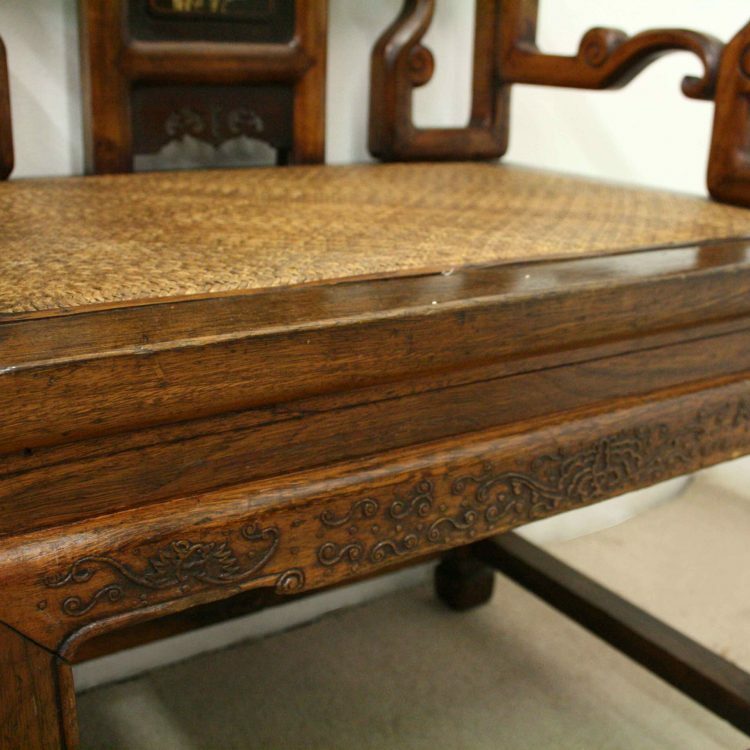 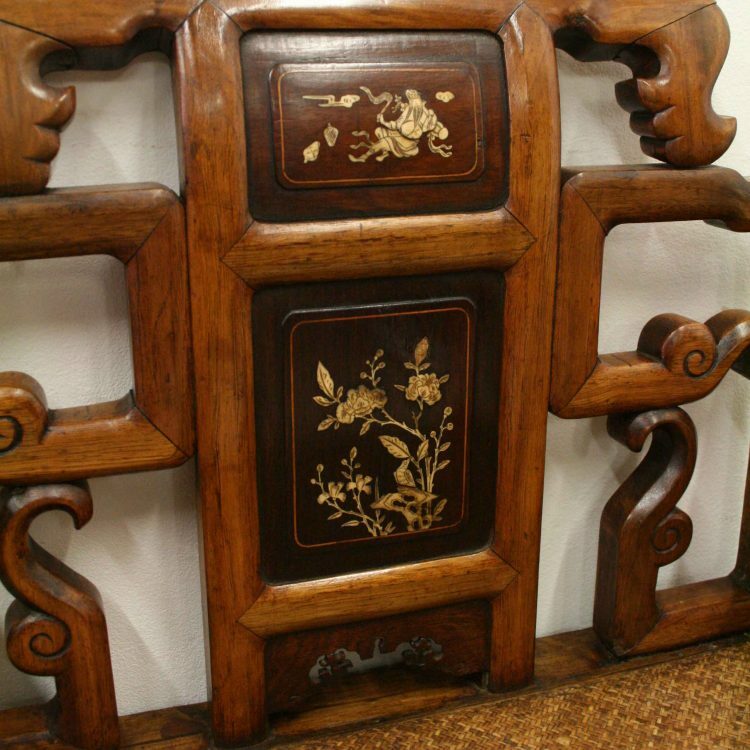 To the left and right of the panels there is a series of very stylish turned wood, some in the form of bamboo and others just foliate carving. 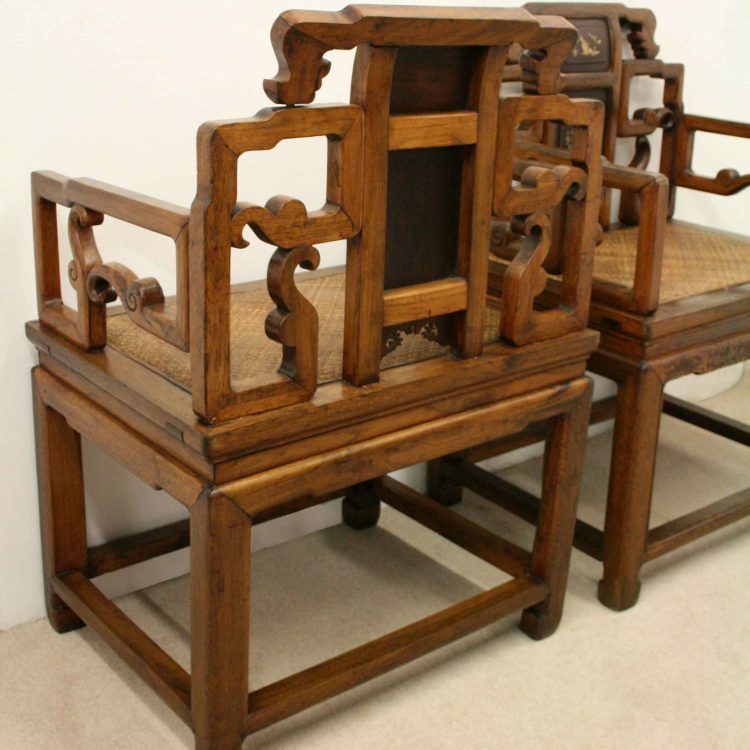 There are 2 arms that come off the back, again with a similar carving to that of the back. 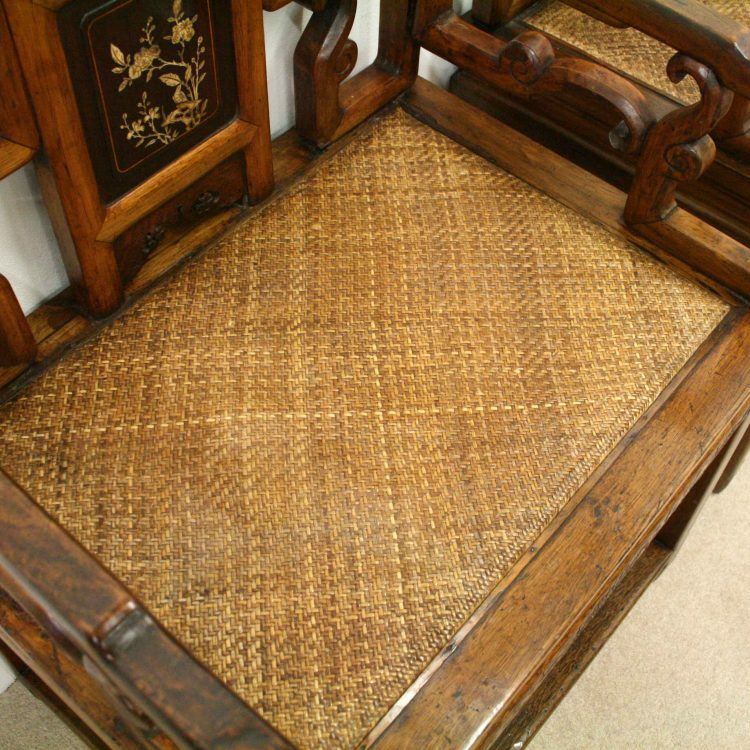 The seat has a rattan covering and beneath this there is a further woven section for support. 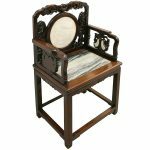 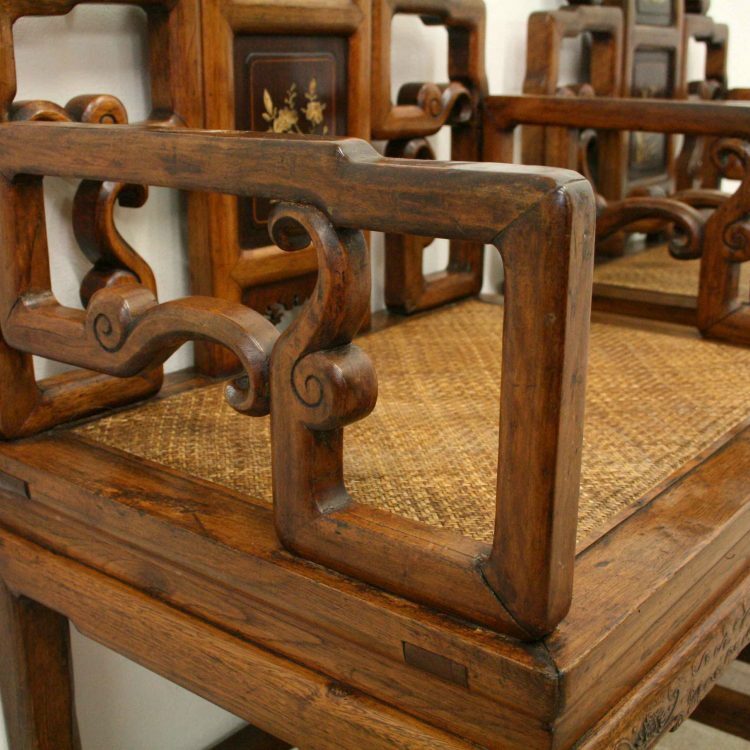 The large rectangular seat has a shaped apron which is carved with a pattern of scrolls on the front. 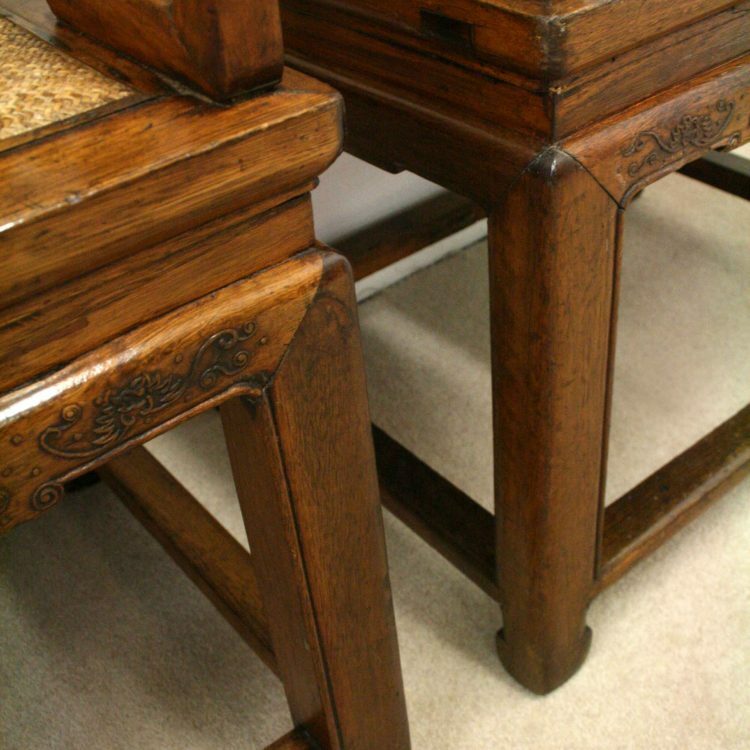 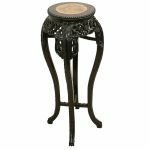 The whole piece stands on 4 large square legs with large chunky cross stretchers towards the base, finishing with a slight curve. 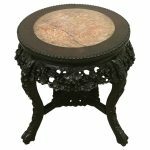 94cm high x 54cm wide x 49cm deep.